3 mindfulness tips for dealing with on-the-job drudgery. Of course, there are the obvious answers: I need to pay the bills; I gotta put food on the table. And some of us can readily identify that we also work to make a difference in the world, feel challenged, or be creative. However we chose to answer the question, the “why” of going to work is central to making a living. But what happens when you’re just not into it anymore? When your passion for the work has cooled. When your job, instead of feeling like a meaningful exercise, becomes a daily slog? A 2015 Gallup poll found that 67% of Americans come to work disengaged. And research shows that when we’re checked out at work, we’re more stressed, less productive, and less willing to offer an innovative idea. It’s understandable how passion even for a career that once felt exciting can fade. The looming threat of downsizing that makes you feel expendable; having too much to do and not enough time to do it; constant financial pressure— the list goes on. But given that the majority of us need to work, the question becomes: How can our mindfulness practice help us in the midst of such drudgery? The fact is that work offers a rich mix of experiences: some exciting, rewarding, and triumphant, others boring, disappointing, or tragic. The challenge is less about pursuing the preferred side of work and more about engaging all workplace experiences authentically with confidence, openness, and skill. It’s less about why we go to work and more about how we show up. It’s less about why we go to work and more about how we show up. Tip: Invite a colleague for coffee. Ask them: What do you most value in a colleague? How well do I measure up? How can I be more helpful on the job? Reflect on what you learn and how it feels to be open to such a conversation. Then, do the same with another colleague, and see what happens. Mindfulness teaches many things, but first it demands that we befriend ourselves—shortcomings and strengths, sadness as well as our joy. Such honesty shows us how to befriend our “work” selves as well, realistically, without amplifying difficulties, sugarcoating conflicts, or chasing agreeable experiences. With a fresh and clear-minded intelligence, we can explore our dissatisfaction at work, maybe with a bit more friendliness. Tip: What makes your workplace healthy despite its negatives? Maybe it’s the daily banter with a coworker, the responsiveness of the help desk, or the view from your window. This kind of friendly realism can cut through any storylines that blind you to the broader health and well-being surrounding you. Tip: Take 60 days and reflect on the question: “If I were wildly successful at my job and working in a place that I really enjoyed, what would it look like?” Meet with others and ask what works—and what doesn’t—in their jobs, and keep notes. At the end of the two months, chances are that you’ll have a broader and more inspired perspective, either to apply in your current job or to bring somewhere new. This article appeared in the February 2017 issue of Mindful magazine. 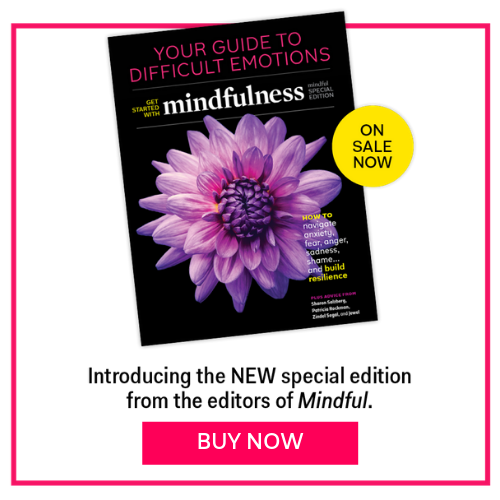 Michael Carroll is a regular contributor to Mindful magazine on work-life issues. He is the author of Fearless at Work: Timeless Teachings for Awakening Confidence, Resilience, and Creativity in the Face of Life's Demands, The Mindful Leader, and Awake at Work.